A formal cane with a secret: the beautifully decorated handle is discreetly hinged, opening to reveal a secret pill box compartment. 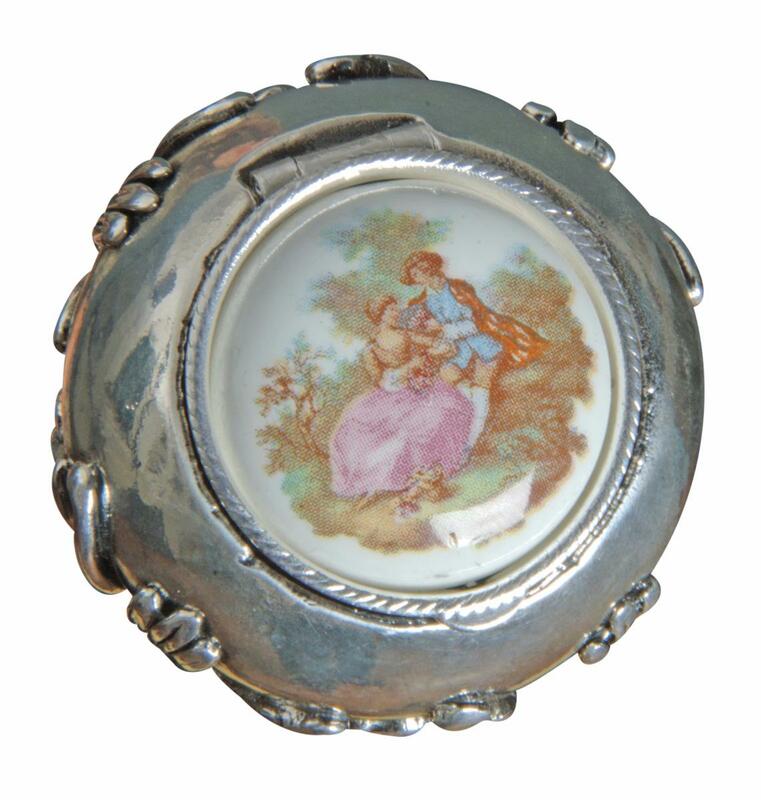 The top of the cane features a colour illustration of a courting couple in the style of the 18th century: in a bucolic setting, the woman in her pink dress is being presented with a posy of flowers by her admirer, himself in knee britches, a blue waistcoat and a flowing cloak. 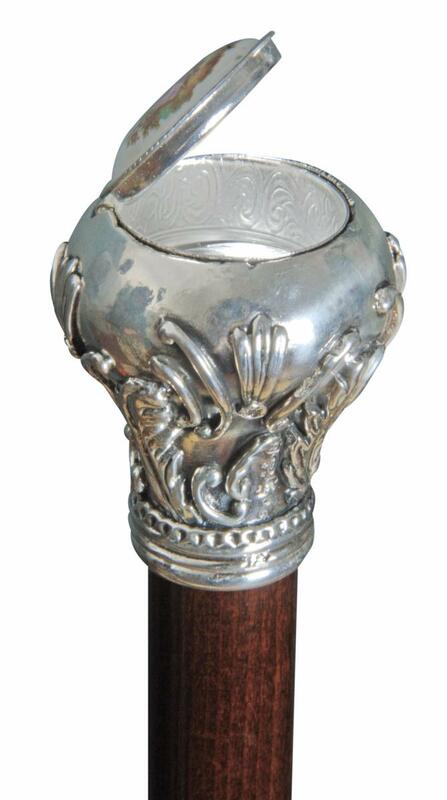 The R925 silver handle is ornamented with acanthus-style decorations. The lacquered brown hardwood shaft is elegantly tapered, and is fitted with a smart brass ferrule. Ferrule diameter 13mm.